Fences can be wooden or composite. 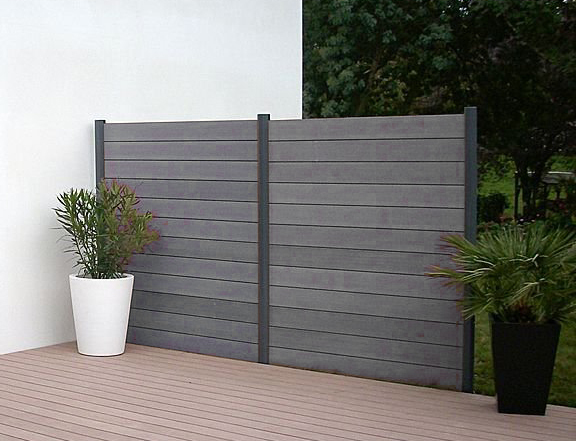 Most fencing panels are wooden,but wood plastic composite fencing panels are more and more popular in the world. Composite fencing panels have different varieties from lightweight, cheap and cheerful “interwoven”, to attractive and more expensive “waney edge”. The panels are fixed to either wooden posts or dropped into slots at the sides of each concrete post. There are also concrete sections, which can be slotted between concrete posts. It takes about 5 of these to make up a height of 6 feet. With a fence height of 6′ or more (1800mm), there should also be one in the middle. 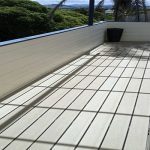 The fence itself is made from individual vertical 4″ or 6″ wide boards, which very often are a thin wedge shape called “feather edging”. 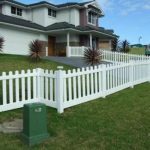 The distance between posts with this type of fence can be as much as 10′ . 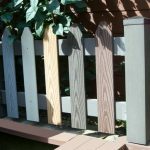 Composite fencing uses post-consumer recycled fiber and plastic materials to create a durable fence product with the authentic look and feel of real wood. The average backyard fence installation will recycle 28,218 half-gallon milk containers. If placed end-to-end the distance is 64 miles! Composite fences are available in a variety of colors, require no staining or painting, and are, therefore, virtually maintenance free. 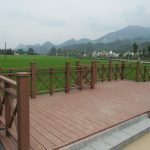 Qizhen provide you with a cost-effective composite fencing solution. Such fences are known to last long, requiring minimal or no repair. 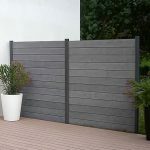 We offer composite fence panels in a wide range of colors and styles. You can give your establishment the look and feel you desire through our fences. Composite is the eco-friendly fencing choice.